Embrace a luxurious, low-maintenance lifestyle in the heart of downtown Orlando with three new communities coming soon from Central Living by David Weekley Homes. Discover intimate enclaves of beautiful three-story, modern craftsman-style townhomes, just moments from the business district and Lake Eola, and within walking distance to a variety of retail, dining and entertainment opportunities downtown. 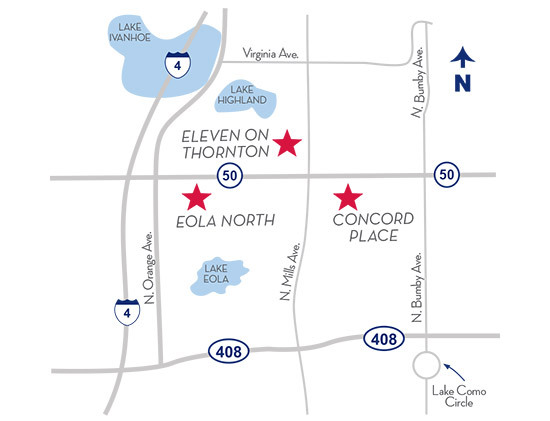 Soon, you can have it all, near it all with Eleven on Thornton, Eola North and Concord Place!